President Barack Obama announced Thursday that he has ended the “wet-foot, dry-foot” policy that allowed Cubans reaching U.S. soil to stay and become automatically eligible for American residency, while those found at sea were sent back home to Cuba. 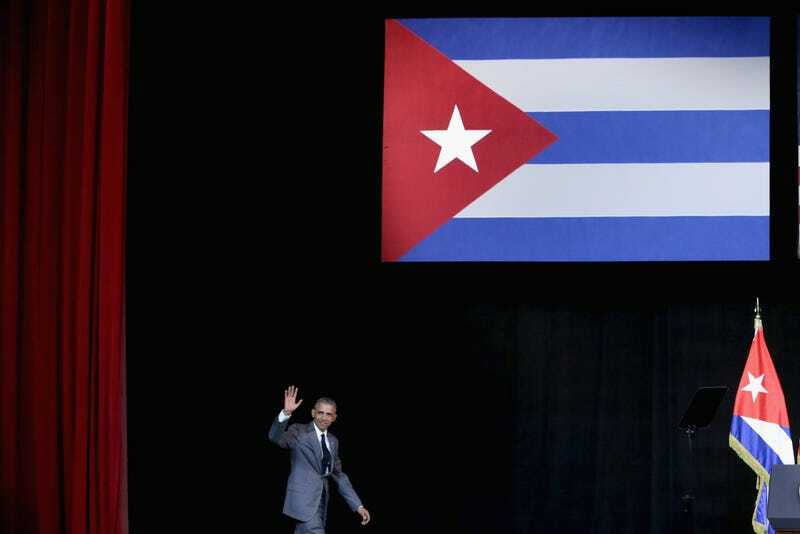 “Effective immediately, Cuban nationals who attempt to enter the United States illegally and do not qualify for humanitarian relief will be subject to removal, consistent with U.S. law and enforcement policies,” Obama said in a statement released by the White House. “By taking this step, we are treating Cuban migrants the same way we treat migrants from other countries. The Cuban government has agreed to accept the return of Cuban nationals who have been ordered removed, just as it has been accepting the return of migrants interdicted at sea,” the president continued. In other words, those who make it here illegally and those who are intercepted at sea will be sent back to Cuba, a move that will likely please those who are opposed to immigration. Under the 1966 Cuban Adjustment Act, Cuban migrants were given special immigration preference, which led to hundreds of thousands of Cuban migrants attempting to get to the U.S. in leaky boats and homemade vessels. The “wet-foot, dry-foot” policy was instituted in 1995 during the Clinton administration, altering that long-standing agreement and revising it so that only those who reached U.S. soil were given the immigration preferential treatment, while those caught at sea were sent back to Cuba. The policy was controversial and called a racial double standard because at the same time, the U.S. was forcibly returning Haitian refugees, and as Slate notes, it had recently become harder to justify the preferential treatment of Cuban immigrants when thousands of unaccompanied minors fleeing violence in Central America were arriving at southern U.S. borders. There has been a surge in Cuban immigration since the U.S. renewed diplomatic relations with Cuba in July 2015, with many fearing that it would be their last chance to automatically gain legal status in the United States. The new policy will be implemented by the Department of Homeland Security beginning Thursday. Read more at the White House.